Some healthy, some not-so-healthy 😏. Don't forget to stop and enjoy the view while you snack. Most of us will be on the road over the Chrissy and New Year's break, visiting friends, family and extended family (and subsequently road tripping away from them). With any road trip comes snacking. Loooots of snacking. If you want to keep things healthy -- or need a break from salty chips -- we have your snack needs covered. "The biggest thing is be prepared. Go armed with a plan," accredited practising dietitian Joel Feren told The Huffington Post Australia. "These days, there are so many healthy food products that are versatile and easy to buy. You can just throw them in a bag and they're good to go, and they don't necessarily require refrigeration." 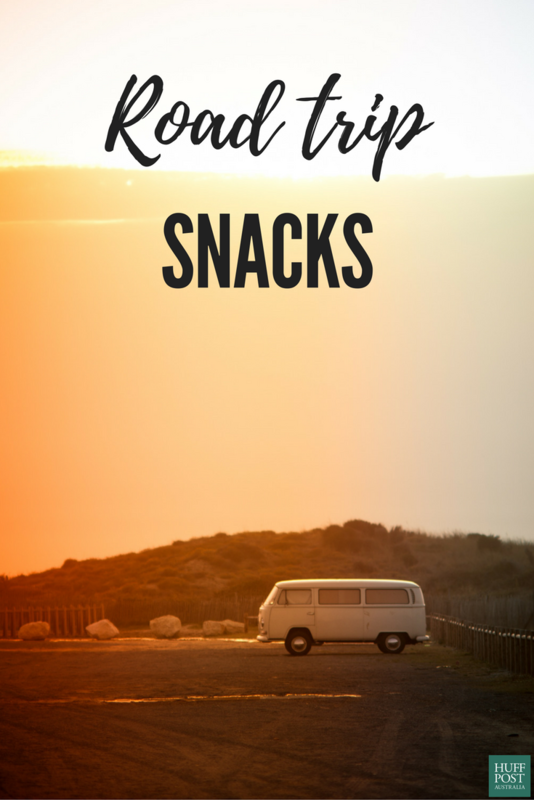 When it comes to healthy snacking on the road, there are a few top tips to follow. If you're trying not to overeat (which is annoyingly easy to do in the car), personal trainer and owner of Flow Athletic Ben Lucas recommends keeping your stomach full of healthy food. "I suggest stopping for bigger, healthier meals when and where you can, as then you will be less likely to eat poorly on the road," Lucas told HuffPost Australia. "Sometimes thirst is mistaken for hunger," Lucas explained. "Bring a cooler or esky to increase the types of the drinks and foods you can take on the road and keep them fresher for longer." 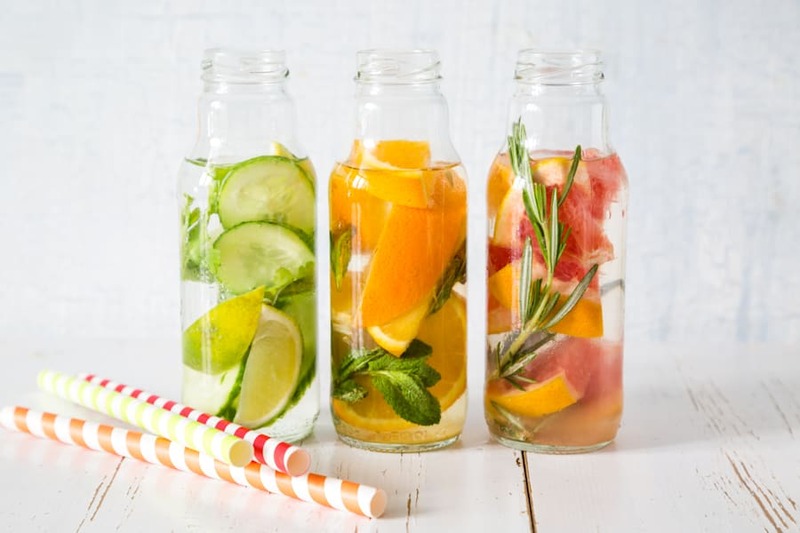 If plain water bores you, infuse your water with fresh fruit and cucumber to add flavour and colour. Pop on some lids and you're ready to do. Being stuck in a car can be boring, which means boredom eating will ensue. To make sure you don't go overboard, watch your portion sizes. "Exercise portion control as you will be sitting for most of the day and don't want to feel uncomfortable," nutritionist Zoe Bingley-Pullin said. "A snack is not a meal. You should feel satisfied and not full after a snack." "Avoid snacks high in refined sugars as this can wreak havoc with blood sugar levels and cause sluggishness, a poor combination with sitting for long periods," Bingley-Pullin said. "Aim for a serve of protein in your snack to regulate blood sugar levels and keep alert -- nuts, seeds, brown rice or pea protein powder, canned fish and so on," Bingley-Pullin said. "The biggest one is fresh fruit. You just can't get better," Feren said. "I don't expect people to cut through a mango in the car, but certainly you can peel a banana or smash an apple, or another summer fruit." "It's a bit of a minefield going to the supermarket and trying to find a healthy muesli bar, but they certainly can be wonderful snack," Feren said. "The key is trying to find one with less than four grams of sugar per serve, and more than three grams of fibre. Something that's oat based or nut based is the way to go, and with the least ingredients as possible." We've done the hard work for you -- here are the best supermarket muesli bars. 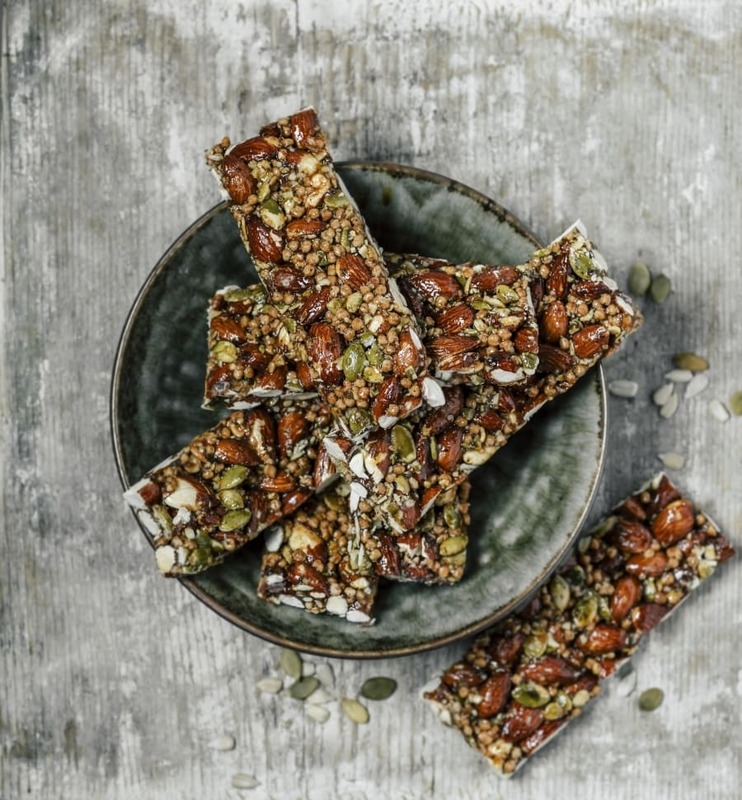 If you're feeling crafty, make your own delicious muesli bars. "Nuts are a great snack which are packed full of good stuff, like hearty healthy fats, protein and fibre. The combination of those three types of nutrients actually helps to keep us fuller for longer. It really is the perfect snack," Feren said. "The key is just to be mindful of portion size as nuts are moreish and you can overeat them. They are energy dense so it can certainly lead to weight gain. A small handful is great." "The one that comes to mind if we're talking about a low energy snack is veggie sticks. Things like carrot, celery, capsicum and cherry tomatoes. You can always have them with tahini or hummus," Feren said. 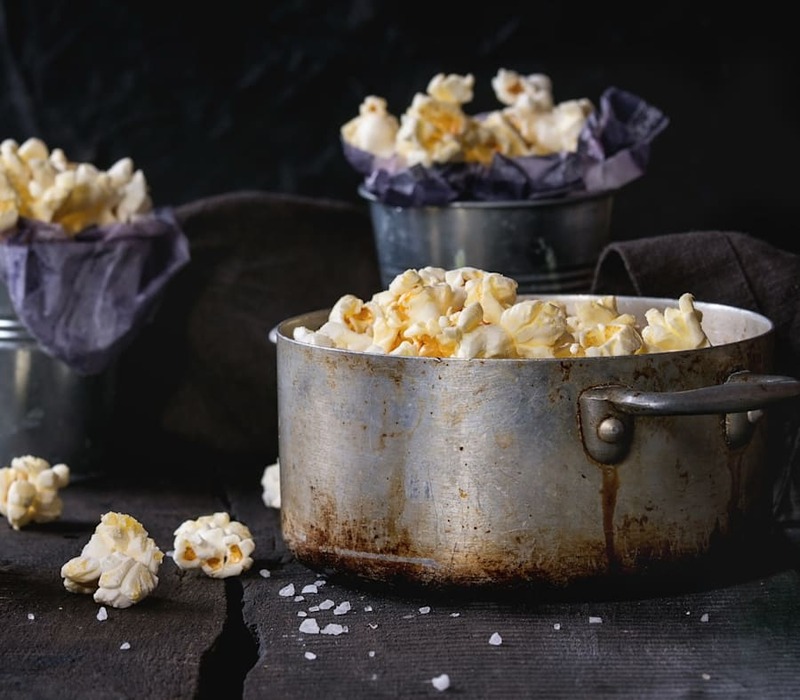 Popcorn is readily available at supermarkets and some servos, but make sure you avoid the buttery ones. Looks for those with three ingredients -- popcorn, vegetable oil and salt. "Popcorn is a good source of fibre and long standing carbohydrates to help keep you full for longer. But move away from the buttery types," Feren said. "If you're going to make your own, avoid things like butter and lots of salt. Flavour it with herbs and spices." If you like the crunch of chips, try roasted chickpeas or fava beans, which are found in the health food aisle of the supermarket. "There are a few brands doing roasted chickpeas at the moment, but once again, if you've got the time, absolutely make them at home. Use herbs and spices to flavour your food instead of overdoing it with salt," Feren said. This one isn't for everyone, but if you love baked beans on toast, there's no reason why you can't eat them straight from the tin. "A small tin of baked beans is a great source of protein, long standing carbohydrates, fibre and iron," Feren said. We get it, you don't want to be snacking on veggies and fruit the whole car trip. Try these more indulgent snacks, too -- in moderation. "I'm not saying go out and buy a big pack of potato chips, but if you are going to indulge in those types of things, be mindful of portions," Feren told HuffPost Australia. "A lot of those snack sized packs are okay if you want to have them as your 'discretionary' food item for the day. Just cap it at one small snack size bag." 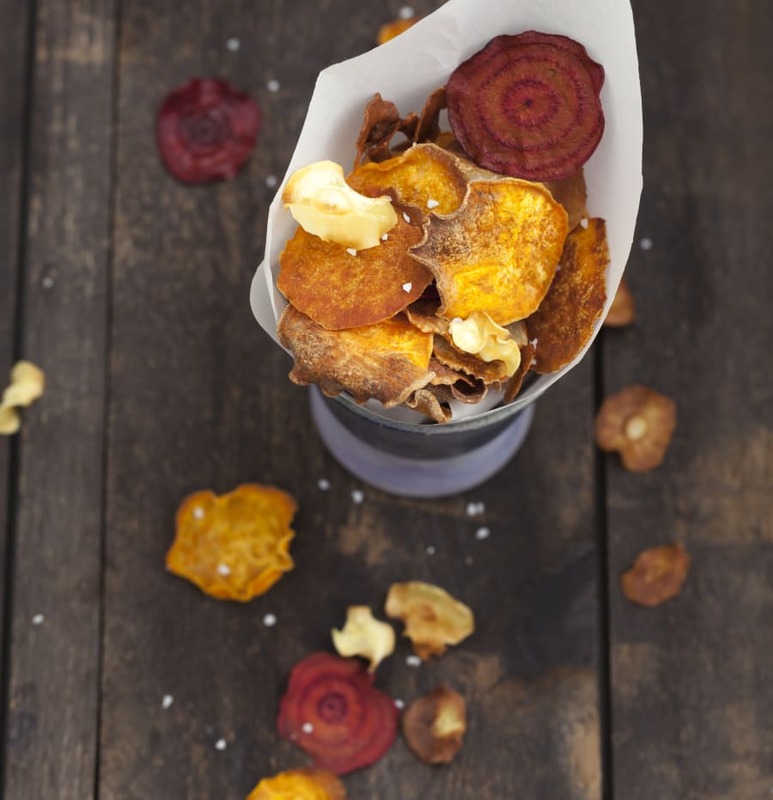 Try the veggie chip variety with sweet potato, beetroot and carrot. "That goes for chocolate, as well. Don't have a whole block or a giant bar, those fun size bars work really well." To get your chocolate fix, you could also go for a trail mix with dark chocolate. "For a treat on the road, look for chocolate covered fruit and nuts, or a high fibre muffin," Lucas said.